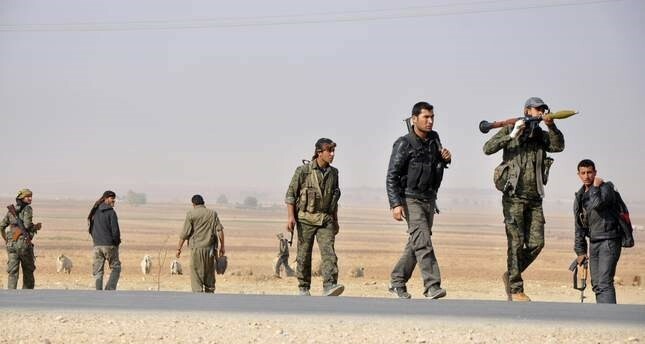 The PKK's Syrian affiliate, the People's Protection Units (YPG) reportedly set free 40 Daesh prisoners for ransom, Anadolu Agency (AA) reported yesterday. According to AA's local sources in the YPG-controlled Tal Abyad in northwestern Syria, YPG militants released the prisoners after they agreed to pay the ransom. It was not known where the terrorists moved after their release. However, this was not the first such deal between the YPG and Daesh. Earlier in January, the YPG released all Daesh prisoners on condition that they fight the Turkish and the Free Syrian Army (FSA) forces after Ankara launched Operation Euphrates Shield to drive back YPG militants from the region. The YPG also made a secret deal with Daesh for the evacuation of around 4,000 terrorists from Raqqa, including hundreds of foreign fighters. The secret deal was exposed in October 2017 by a BBC report. It detailed an agreement between the U.S.-backed Syrian Democratic Forces (SDF), which is predominantly composed of YPG fighters. As part of the deal, the YPG arranged the evacuation of thousands of Daesh militants, including some of the most notorious, and their families from Raqqa, as well as 10 trucks loaded with weapons and ammunition on Oct. 12. The report also contained secret footage, interviews with drivers who transported the militants and some Syrians, including a shopkeeper and a smuggler, who spoke on condition of anonymity. The report put the number of evacuated terrorists and family members at around 4,000.